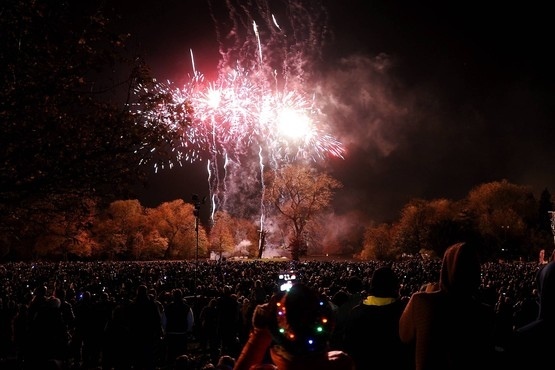 Cloud One supplied a complete audio package once again for Leicesters Abbey Park bonfire nights celebrations. A flown L’acoustics dV-DOSC system was suspended from our 10m ground support towers providing audio to over 15,000 people. The show was run from side of stage to preserve site lines to the stage but the mix was uncompromised as a Yamaha QL1 was controlled using the Yamaha Stagemix iPad App, allowing the engineer to asses the sound from many different locations. To enhance the show, outdoor LED lighting was provided which lifted the greenery around the lake area and framed the amazing fireworks show. 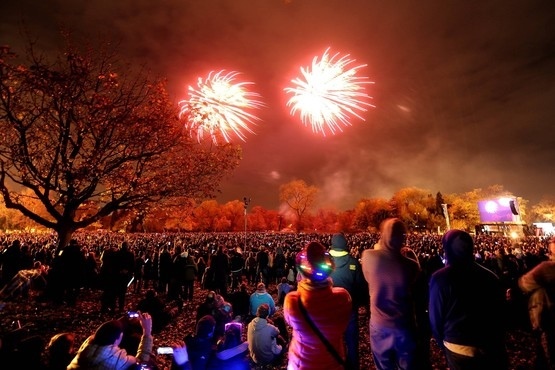 An IEM monitoring package was provided to the fireworks technicians to allowing pyrotechnics and music to be in perfect sync. 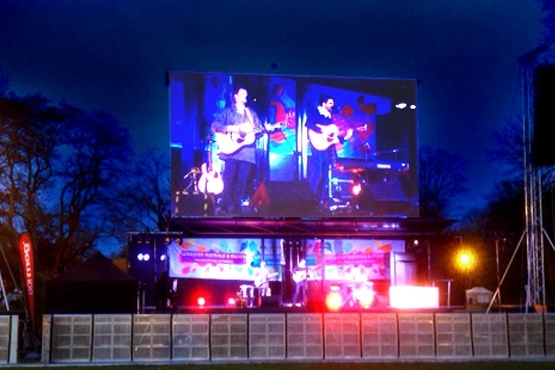 The night was filled with entertainment from GEM 106FM and included musical performances from local talent as well as headline act Hudson Taylor.